Please click on the pictures to see larger versions. As many of you know, the weather in Western Washington this week has been ridiculous. Snow, hail, sleet, freezing rain…you name it, we got it in buckets. While most people are trying to stay off the roads, I’m looking for places to visit for unique photo opportunities. 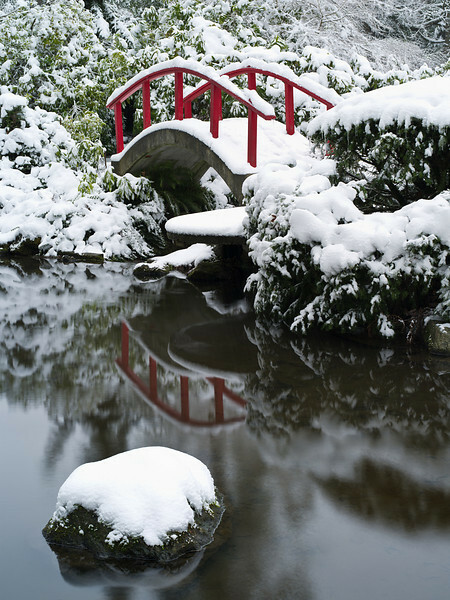 One of my absolute favorite venues for snow photography in Seattle is Kubota Garden. After a particularly heavy snow fall, the red bridges look amazing and really “pop” against the white surrounding. Remember the exposure can be a little tricky in the snow. Usually, I overexpose the shot by 1 to 1 1/2 stops to ensure the white of the snow looks white and not gray. Here are a few images from today, I hope you enjoy. 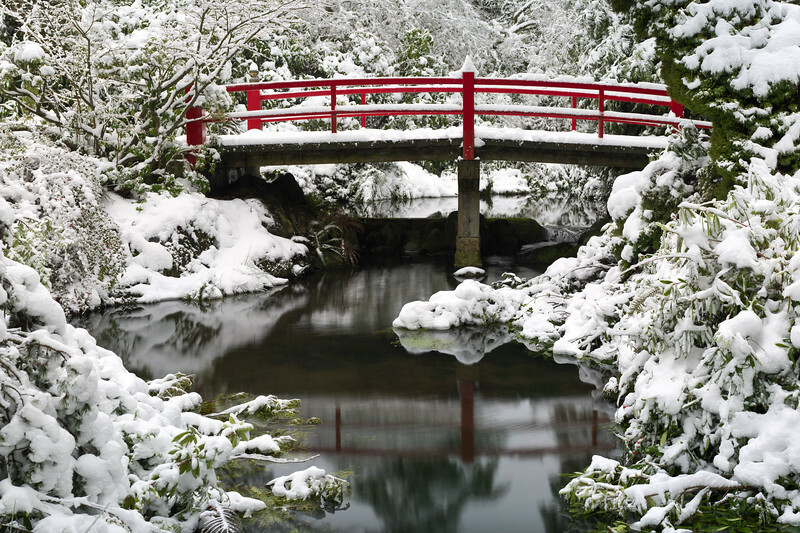 One of these red bridges on a snowy day is the first photo I bought from you. Glad to see more! It has been a tough week here but you captured the beauty. I love them all, esp. the second one. Serene, that is it, serene. I knew that we’d be seeing snow photographs from you, Dr. Thapa — terrific color contrast! Cool images (pardon the pun). Love those red bridges in the snow. Plus another reminder to visit Kubota–I always mean to, but never get down there. Thanks! I still get rave comments about your prints on my wall. Thanks, everyone! It was worth it for me to risk the weather to see Kubota in all her winter beauty. Glad I could bring it to y’all. Linda and Richard: I’m so happy to read about the photographs. I know exactly which prints you’re writing about. I love the color contrast of the red against the snow and black; but especially the way you have caught the reflection in the non frozen water.